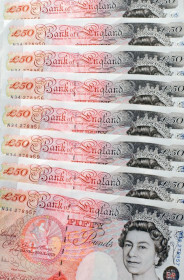 The British pound today traded in an erratic manner against the US dollar as it rallied higher in the Asian session, before falling, and then spiking higher on Brexit rumors. The GBP/USD currency pair was not done with its sudden moves as it quickly retraced all its gains and headed lower in the American session as the greenback recovered. The GBP/USD currency pair today rallied to a daily high of 1.2959 before retracing all its gains and falling to a low of 1.2857. The cable rallied higher during the Asian session driven by the improved investor risk sentiment. The pair started falling towards the European open as investors priced-in the uncertainty regarding the looming Brexit deadline. The release of weak UK CPI data for January by the Office for National Statistics also contributed to the pair’s decline as the print contracted by 0.8% missing expectations by 0.1%. The pair spiked to new daily highs after the European Commission released a statement indicating that they were open to an extension of Article 50 in order to postpone the Brexit deadline. Theresa May‘s comments shortly thereafter, caused the pair to fall as she clarified that a hard Brexit was still an option. The release of upbeat US CPI data by the Bureau of Labor Statistics also contributed to the pair’s fall, as the US Dollar Index hit a high of 97.02. The cable’s future performance is likely to be influenced by Brexit headlines and tomorrow’s US advance retail sales data. The GBP/USD currency pair was trading at 1.2859 as at 16:44 GMT having fallen from a high of 1.12959. The GBP/JPY currency pair was trading at 142.52 having dropped from a high of 143.34.